Would you like some tips on what works and what doesn’t work when starting a podcast from someone who’s recorded 150+ episodes over four years? 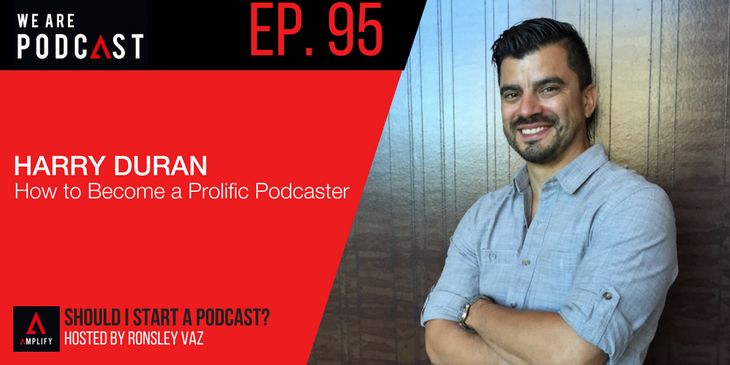 Although he became an entrepreneur and podcaster after many years in the corporate world, Harry Duran has slowly put the pieces together on podcasting through his many insightful interviews. Harry is the founder of FullCast, a full-service podcast production and marketing consultancy. He helps six-figure entrepreneurs amplify their authority and extend their reach through the power of podcasting. Harry also hosts Podcast Junkies, where he interviews fellow podcast hosts to find meaningful lessons in amplifying authority through the power of a podcast.